Spring is a great time to enjoy the outdoors and with the nice weather we've been having there is no excuse to stay locked up in the dorms. Besides swimming, jogging and tanning right here at Santa Clara there are plenty of outdoor places to visit off campus. 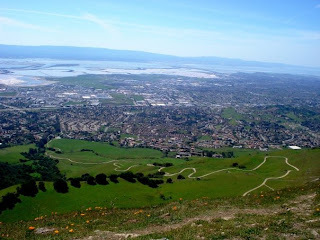 I recently went hiking at Mission Peak, which was gorgeous, a great source of exercise, and I even got a nice tan line. Within about a 30 minute drive off campus you can reach a numerous amount of hiking trails. I have also been to Alameda County Park more than once and it has several trails offering different lengths. So, if you want to get in shape, enjoy nature or just get a tan hiking may be a great activity for you. Another plus side to enjoying the outdoors is — it costs nothing! And if you're anything like me you will be looking for ways to keep money in your wallet.